Dog Savvy was founded by Colorado natives Dana Hood and Robb Horen in 2006. 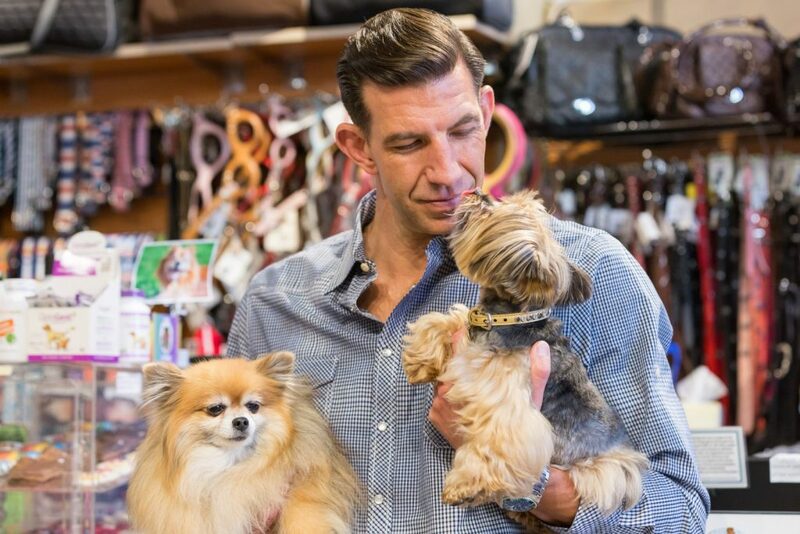 Having had great success with For the Love of Dog doggie daycare, they decided to venture into the boutique niche to provide customers with a warm and welcoming spot to shop for their pups. The goal in developing Dog Savvy was to provide the very best in products for the health and well being of our customers beloved companions and a safe and stress-free grooming salon. We pride ourselves on our exceptional customer service. Our staff is comprised of true animal lovers who are invested in getting to know you and your pet. The primary goal is to match you with the best possible product for your pet’s individual needs and to give them the best grooming experience imaginable. Our experienced staff is there to help you with fitting the correct accessories on your special companion and making the process an enjoyable one. At Dog Savvy, we build enduring relationships with our customers and their furry friends.